“Even assuming that if the Rule or Regulation prescribes the mode of allotment by entertaining individual application or by tenders or competitive bidding, the Rule of Law requires publicity to be given before such allotment is made. CIDCO authorities should not adopt pick and choose method while allotting the Government land,” the Court added. The appeals arose out of 2009 judgment passed by the Bombay High Court allowing three writ petitions through which the petitioners had challenged the order of the City & Industrial Development Corporation. CIDCO had cancelled the allotment of lands to M/s. Popcorn and M/s. Platinum Entertainment for erecting entertainment complex in Navi Mumbai and the allotment of plot of land to M/s. Platinum Square for establishment of country club. The High Court had quashed the cancellation orders. The allotment had been cancelled by CIDCO due to violation of Section 23 of Indian Contract Act, as being opposed to public policy, as the same had been allotted without issuance of tender. State of Maharashtra, who is having ultimate authority and power to control and regulate the activities of planning and development under the Maharashtra Regional and Town Planning Act, 1966, in 1971 appointed CIDCO as new town planning authority for the new town - Navi Mumbai. A direct application was made to the office of the Chief Minister through its proprietor Nilesh Gala, for the allotment of plot for constructing multiplex at Kharghar railway Station. Two more applications were made by the same person for allotment of land at two different places. The question to be considered hence was whether the allotments of valuable land by CIDCO to one person in different capacity for the purposes mentioned above, that too by entertaining private applications, are arbitrary, illegal and fraudulent and against the public policy as contemplated under Section 23 of the Indian Contract Act. A large number of Public Interest Litigations were filed in this respect, as a result of which the Additional Chief Secretary was directed to conduct an enquiry to ascertain whether the Board of Directors of the CIDCO disposed of lands in accordance with law. Enquiry was conducted by the Additional Chief Secretary and submitted the report (called Shankaran Report). The enquiry revealed that the allotment was illegal, arbitrary and the appellant had suffered a financial loss in crores. The allotments were hence cancelled. The bench said the High Court had “lost sight” of the fact that by entertaining private applications of the same person, “three different valuable plots” were “allotted in different names”. 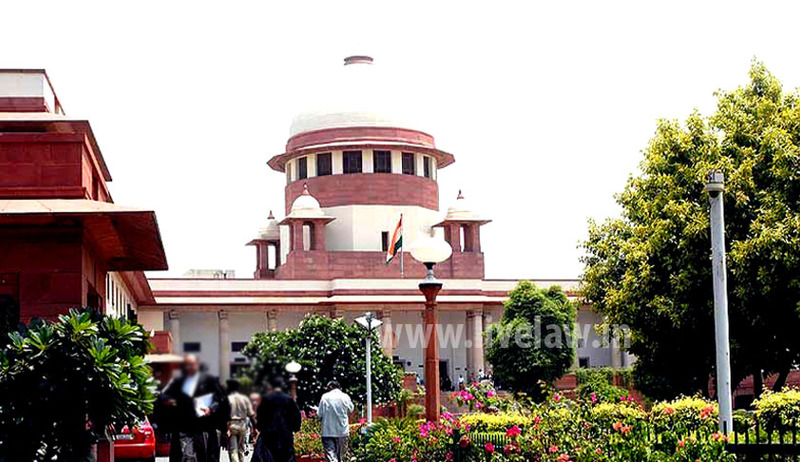 The apex Court accepted the contention of CIDCO that it has been laid down in several decisions that the disposal of the State owned or public property by auction or tenders is a rule and such disposal by private negotiation is an exception to be carved for cogent and compelling reasons to be recorded in writing at the time of disposal.